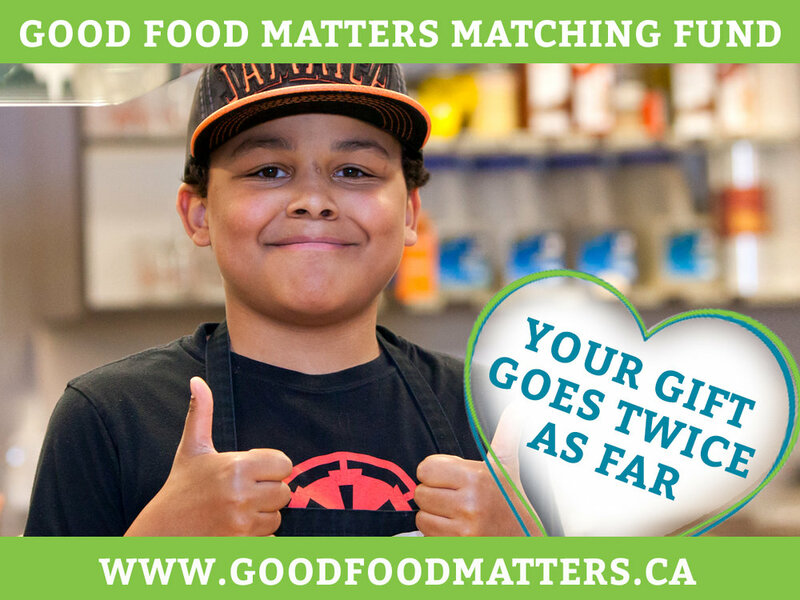 Join the Good Food Matters $20,000 Matching Campaign! From November 27th to December 31st every gift you give will automatically be doubled. We believe that good food has the power to change lives. Good food is not only nutritious and delicious, it also brings people together. At the Dartmouth Family Centre and our Dartmouth North Community Food Centre site, good food is at the heart of our community. Last year we served more than 16,000 meals to hundreds of community members of all ages and backgrounds: from pregnant parents in Prenatal Program, to toddlers, to youths in our Young Cooks program, to adults and seniors. And so importantly, 99% of those participants feel like they are part of a community when they access the centre. And it’s all possible because of our supporters and donors who believe that good food matters! Thanks to a generous group of individuals and businesses, our Good Food Matter matching campaign makes it possible to double the impact of your gift. They will double every donation you make, up to $20,000. Together we can raise $40,000 for good food programs in Dartmouth North.